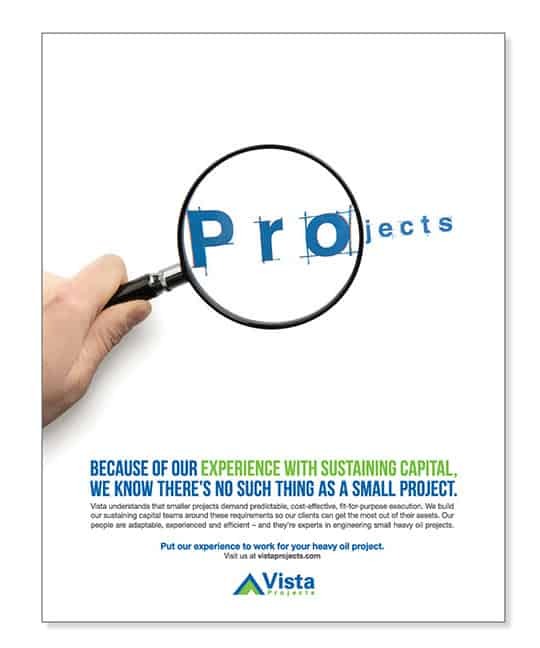 All print advertising examples shared on this page were developed for Vista Projects in conjunction with trusted creative and production partners. As part of a broader brand awareness campaign that began in 2013, Turkey Burg analyzed competitor brand positioning and worked with internal stakeholders at Vista to research relevant key messaging. 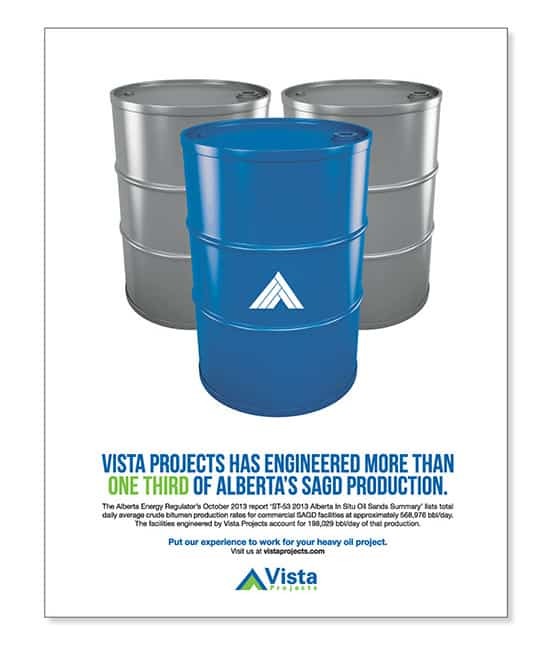 The end result was a series of print advertisements that shared the tagline: “Put our experience to work for your heavy oil project.” The ads ran in a targeted industry magazines. Turkey Burg managed the project and budget, gaining buy-in from client management at key milestones. 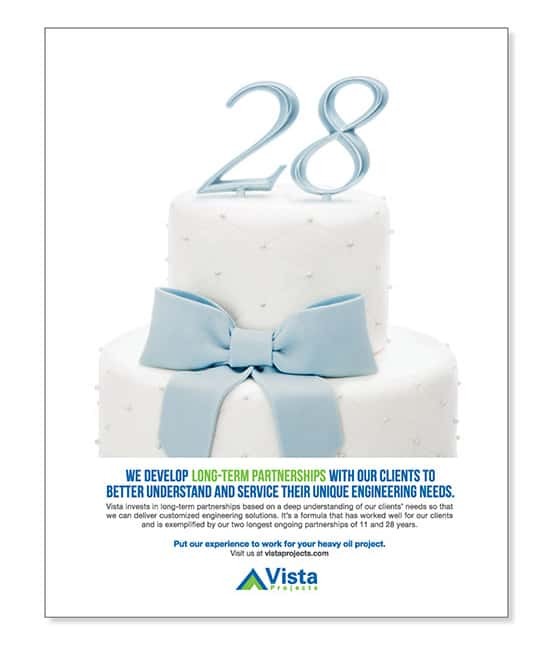 Services on this print advertising project also included coordination with vendors and magazine publishers, as well as copywriting and creative development. 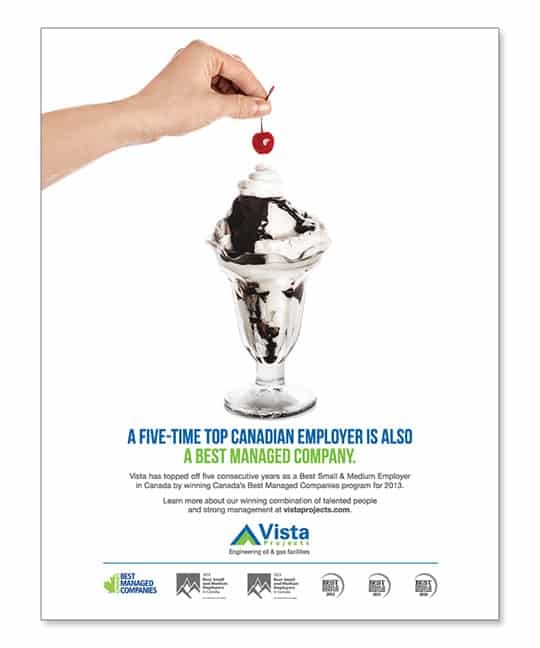 To go along with five years of recognition as a top small and medium employer in Canada, Vista Projects was also announced as a winner of the Deloitte’s 50 Best Managed Companies in Canada. 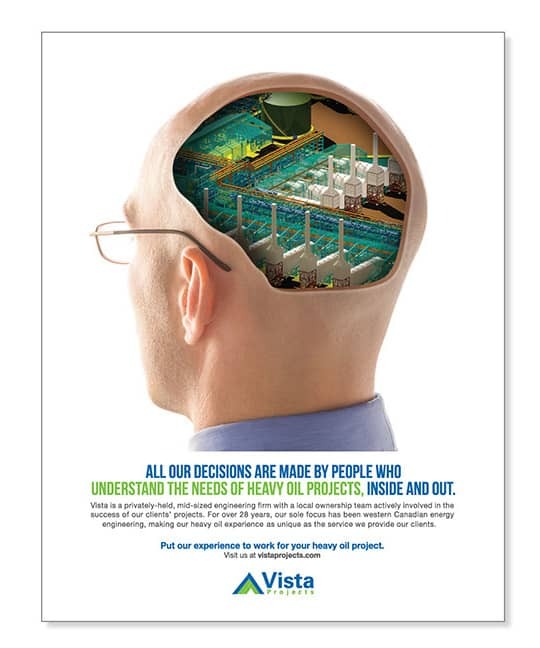 Working closely with senior leaders at Vista, Turkey Burg developed a communications plan to promote this recognition. 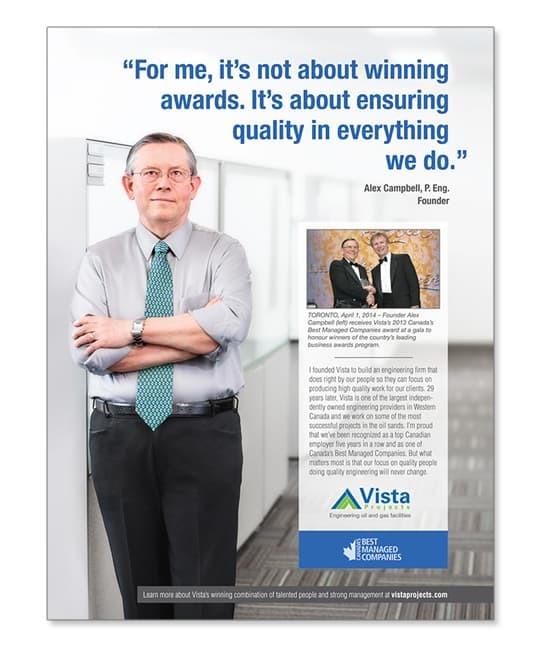 Successful participation with two corporate awards programs. An ongoing commitment to quality work and excellence. The ads were published in targeted industry magazines and local newspapers.